Romaine Electric 2018 © All Rights Reserved. 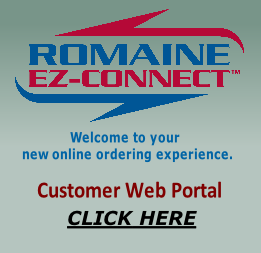 Thanks for visiting the ROMAINE ELECTRIC website. 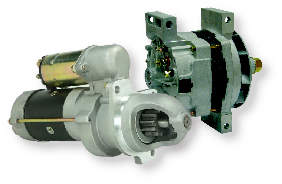 Romaine Electric is a leader in automotive, truck, industrial, marine, agricultural, and military alternator and starter unit distribution and parts. Trademarks of a successful industry. Trademarks of Romaine Electric. Updated! View our current special - click here. Not yet a customer? Downloadcredit application here! • 12 Locations across the country! ROMAINE ELECTRIC has teamed up with Litens, the world’s leader in automotive OAD (Overrunning Alternator Decoupler) pulleys. 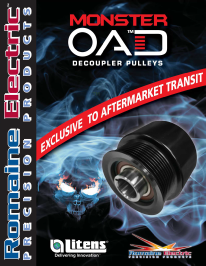 Together we are introducing the Monster OAD . These are the first pulleys of this kind available for transit applications. 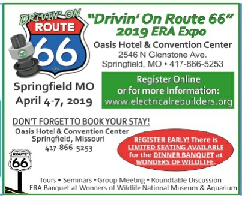 Click below to view/download the full brochure and video. Login or call for availability and pricing.